Take care of your investment and make sure your gutters are the best available and are well maintained. Complete your new roof project with a Custom Seamless Gutter System from Roofing Logic. 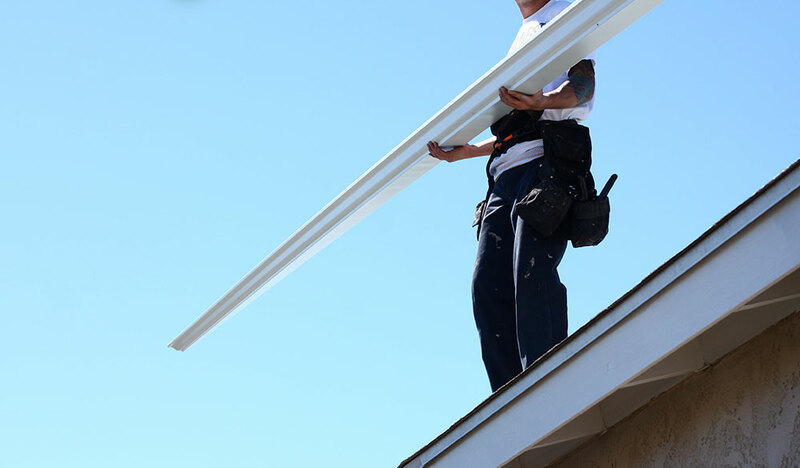 We offer aluminum and vinyl soffit repairs and installation and will prepare custom fit, seamless gutters for your roof project. Gutters are one of the most taken-for-granted parts of a house. They perform an essential job but are not really thought of when it comes to home maintenance and structural integrity. We install custom gutter systems to fit your needs, with the best products on the market. A seamless gutter system does a very important job. They collect rainwater as it comes off of a roof, and they carry the water away from the house. 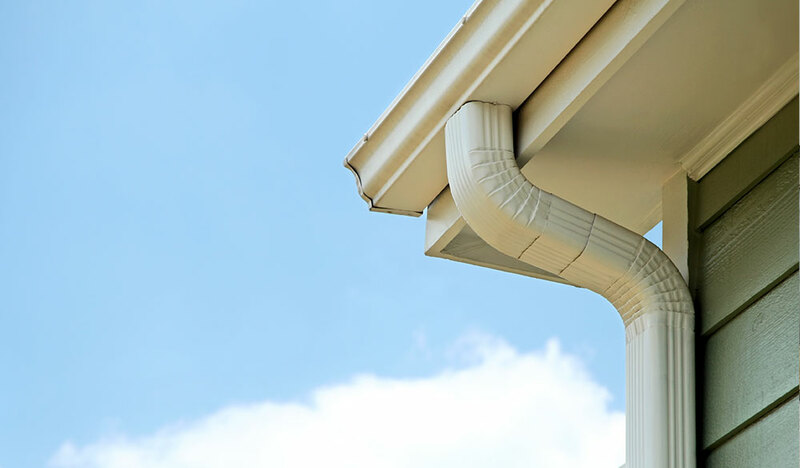 The gutter doesn’t end at the roof; the downspout is an essential part of the gutter system. It is the downspout that moves the water away from the foundation. Seamless gutters keep water out of your basement by diverting water away from your home. Imagine a house with no gutters in a summer downpour. The rain would come off the roof like a set of bangs. Rain pouring off the roof would cover the entirety of the edge of the roof. There would be no opening to get in and out of your house without going through a waterfall of rain water. Most importantly the rain would pummel the ground below the roof line and destroy the plants there and disturb the soil so that a ditch would develop. This little ditch can do a lot to damage. Water would settle there and keep the soil around the foundation of your house moist and allow water to get into your basement. A house with a waterlogged foundation is a house that can shift on its foundation, develop significant cracks, and can be structurally damaged, requiring costly repairs. Gutters stop this from happening. The downspout plays an important part in this process by making sure the water from the house is diverted far from the foundation. Talk to Roofing Logic today!